Roulette is certainly one of the most popular games in online casinos across the internet and it is natural that gamblers around the world look for ways of beating the system and gaining an edge in online roulette games. The question is, with no human interaction and no real wheel or ball in play, can any edge be gained over online roulette games? This is the question that we set out to get to the bottom of today. European Roulette is the common roulette game with a single green 0 pocket. However, online casinos usually also include the American version of the game, which comes with two green pockets, the 0 and the 00. The double zero field may seem to add some excitement but in fact is a big downside. When you are playing a regular roulette wheel there are 36 numbers and the 0. The payments are 35 to 1, meaning the casino only maintains the edge of a single 0 field, which is 2.7%. On the other hand, playing American Roulette gives the casino a 5.4% edge, as there are now two pockets in which the ball can fall being neither red nor black. In short, the first strategy you should employ when playing online roulette, as simple as it seems, is to avoid playing American Roulette. Roulette wheels are usually more predictable when there is an actual wheel, a dealer and a ball in play. In fact, when you are playing at online casino live tables, you can sit there and monitor how the wheel is behaving for hours on end. This way, if you learn how to keep track of wheel bias and other similar factors, playing online roulette on live dealer tables could actually become incredibly lucrative. Mathematical systems such as Martingale, Labouchere or Magic 8 are all so much easier to use when playing online casino roulette. For starters, the best you can place at online casinos are much smaller, with many casinos allowing players to bet 10 cents per spin, while brick and mortar casinos will often require you to bet 5 Euros per spin. This means you will be able to start smaller, play faster and win more consistently. Furthermore, live casinos could ask you to leave if you are using a system and trying to take advantage of their roulette game. 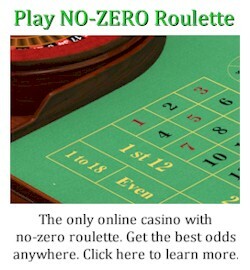 Online casinos on the other hand don’t really care if you are using a mathematical system and will let you keep playing. This is why the use of sound mathematical systems can make playing online roulette extremely lucrative for you, but only in the short run. They don’t win in the long term. Of course, online casinos also offer many opportunities that you will not have in a brick and mortar casino. For instance, when you first deposit to an online casino, you will usually get between 100% and 300% of the money added to your balance to play with. With this money, there is a very realistic chance that you will end up beating roulette for a significant amount. Furthermore, online casinos often also throw promotions for specific games such as roulette and keeping track of which casino is offering a promotion could be the difference between winning or losing. You can visit http://www.yourate.com/ to keep track of all the online casinos, the bonuses and promotions they are offering as well as locate the online casinos with the most favorable roulette wheels out there. 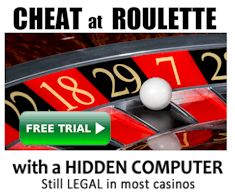 Can Online Roulette Really Be Beat? 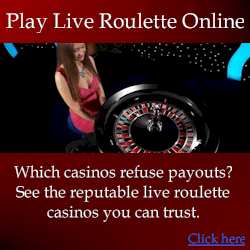 It is hard to say if online roulette can be beat in the long run. However, the one sure thing is that the more cautious you are, the more promos you make use of and the better systems you use, the bigger the odds are that you will come out on top when all is said and done. Don’t just go to any online casino and start spinning. Make sure you do your research, use all the best strategies and optimize your chances of making money while playing roulette online. NOTE: The views of the writer do not necessarily reflect the view of the website owner.